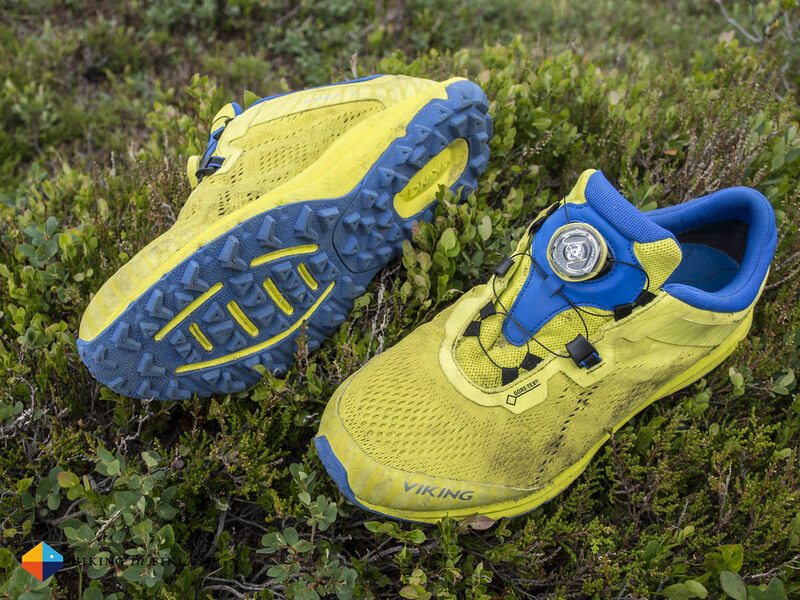 The Scandinavian Outdoor Award is the only Award for Outdoor Gear (if compared to the ISPO Award, OutDoor Industry Award et al.) 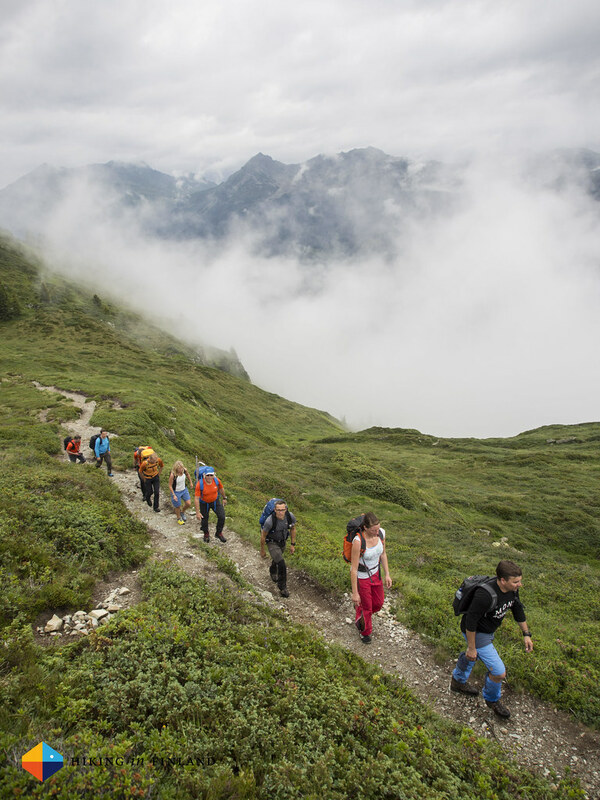 which tests gear where it’s meant to be used - in the outdoors. 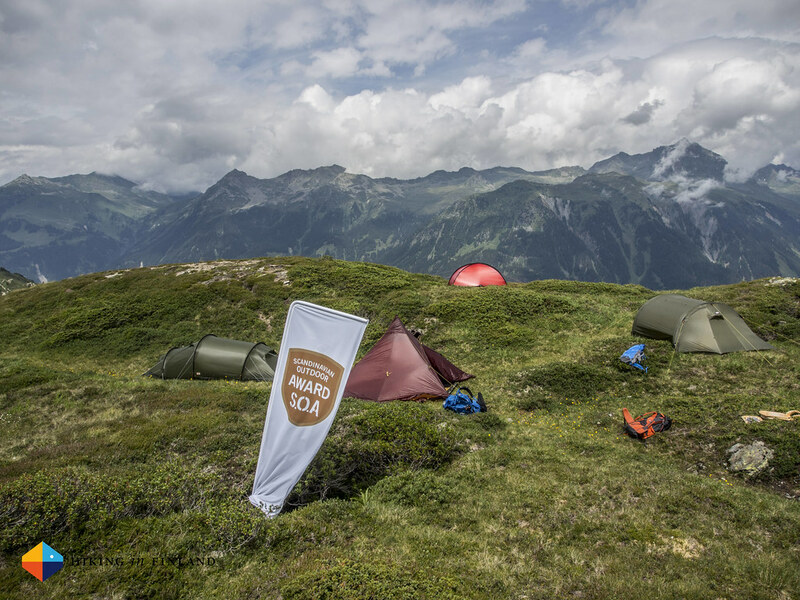 I was honoured to be invited to this years Jury meeting in Montafon, right after my Dolomites Tour and before the 2015 OutDoor. Here’s an inside look at the Jury meeting and my thoughts on the kit I have tested. 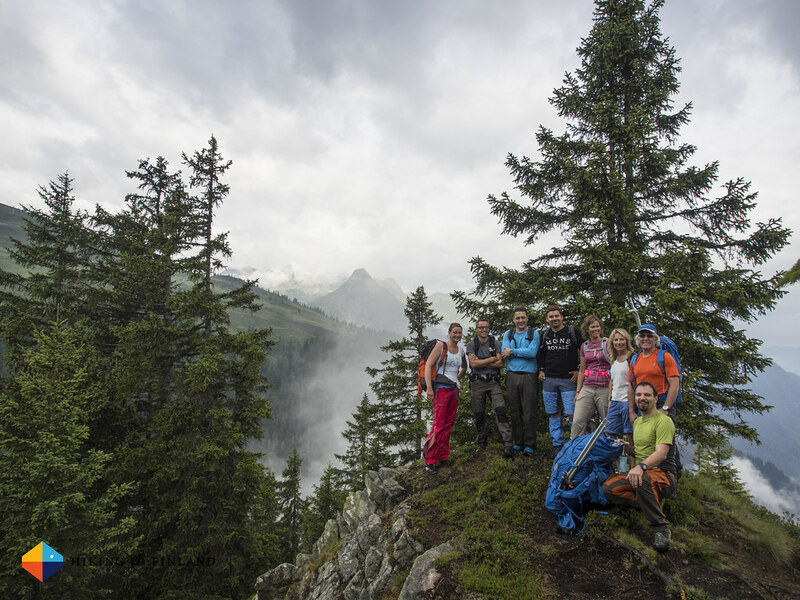 The SOA Summer Jury 2015 came from from six countries and included esteemed Outdoor Journalists, Retailers, a Photographer - and for the first time ever an Outdoor Blogger =) Well, I obviously also write for a few magazines but Hiking in Finland remains the most-read Outdoor blog in Scandinavia, so it was cool to be along and bring some Blogger views to the Jury. The gear testing was well done, some of us spent two days out with the kit in the mountains, which is more than any other Award does, but does not compare to my own testing (which takes months, if not years). After checking the gear out on Sunday evening and everyone got a few pieces to test we got up early at dawn on Monday and hiked for two hours to a hut, where we had breakfast. 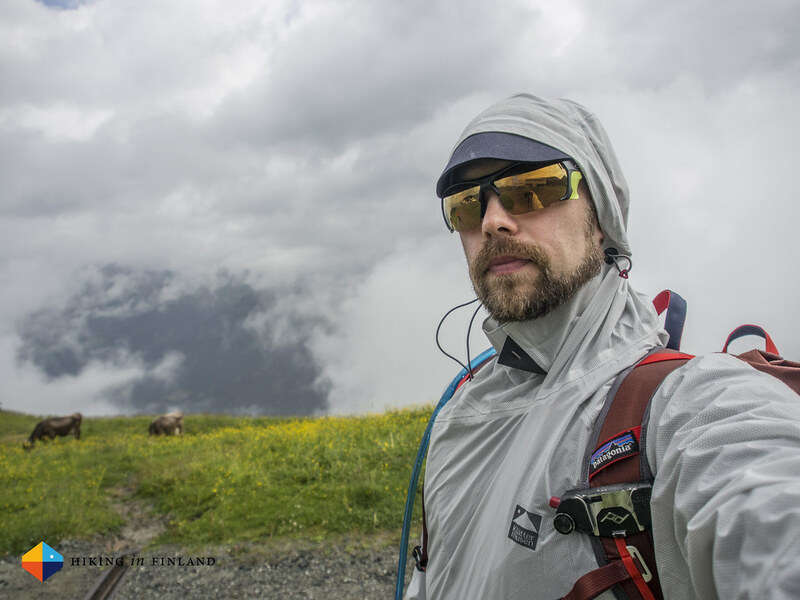 The weather was a mixed bag of rain and clouds which was in my opinion pretty good testing weather - so we could see about the waterproofness, breathability, grip and comfort in bad weather. After a great breakfast we headed further up the mountain and pitched the tents, after which it started to clear a bit. 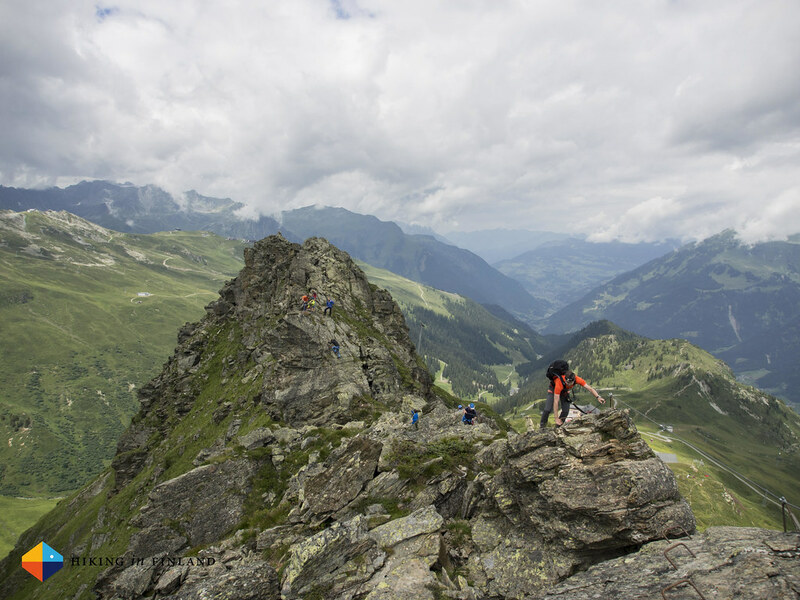 A short Via Ferrata hike, lunch and a stroll back to the gondola rounded out the afternoon for most, but five of us headed back up after dinner to sleep in the tents. Gijs from Oppad, Karen from NORR, Frank from Outdoor, Piotr from Gory and me slept up on the mountain in the four tents and enjoyed chatting by the fire and drinking a glass of red wine before turning in. The next morning we headed down to the valley with the first gondola and had the final Jury meeting, where we quickly were able to agree on the winners in the different categories. After that it was time to pack up and head to the OutDoor in Friedrichshafen, where the Gear Fest would start the next day. Here’s a quick look at the gear I have tested during the SOA Jury meeting, much of it will first hit the stores in 2016 so have patience! This was the first Lundhags trousers I have worn, and I liked the Baalka a lot. They were not too hot - especially as soon as we were above 2000 m where it was nice and cool, and stayed dry also in the small rain showers we had. It has stretchy Schoeller inserts and a Fluorcarbon-free DWR and is made from a Polyester & Cotton material mix. On the sides are ventilation zippers and it was very stretchy so that the scrambles, running and Via Ferrata were no problem. It will be available in March 2016 and will cost 170€. I especially liked the colour, though the hand pockets could have been a bit deeper. Testing underwear is fun. 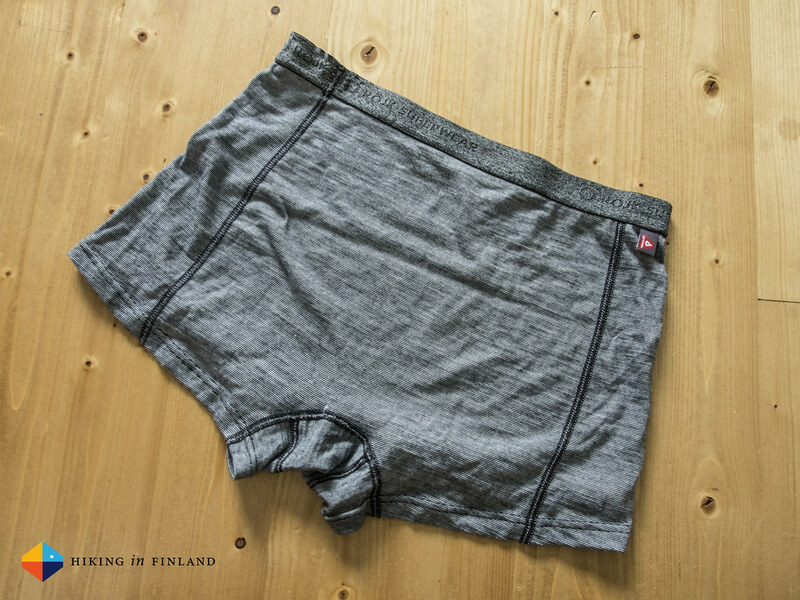 I own a handful of Icebreaker Anatomica Boxers which I rate high, but given the lower price of around 30€ of the Primaloft SuperUndies, that they don’t move uop and feel drier I likely will buy the Röjk Primaloft SuperUndies when they come out in spring/ summer 2016. I wore these for 24+ hours during the Jury meeting and they didn’t smell either, so for me a strong contender for outdoor underwear. I also was lucky enough to wear the Klättermusen Fjorgyn Anorak. There were two other jackets in for test but this was the only one that everyone was excited about - for a good reason, it’s the first time Klättermusen launches a Summer line, and the Fjorgyn Anorak is a good fitting and great looking shell layer. Made from a 48 g/ m² 2,5 layer fabric with a carbon print on the inside it feels very comfy on the skin, even if you’re just wearing a T-Shirt. I liked the drawstring which sat in the middle of the buttocks and so created a sort of flap where rain could run off and not straight to your pants. The Neoprene brim protected the face well and the hood had a good fit. A fine anorak, and at 202 g in Size M even lightweight! The Apex II GTX from Viking were a good fit for me, had great grip on any surface I threw at them and were pretty comfortable. However, the Boa Closure System blew open on each shoe once during the day, once while trail running, which isn’t very nice. 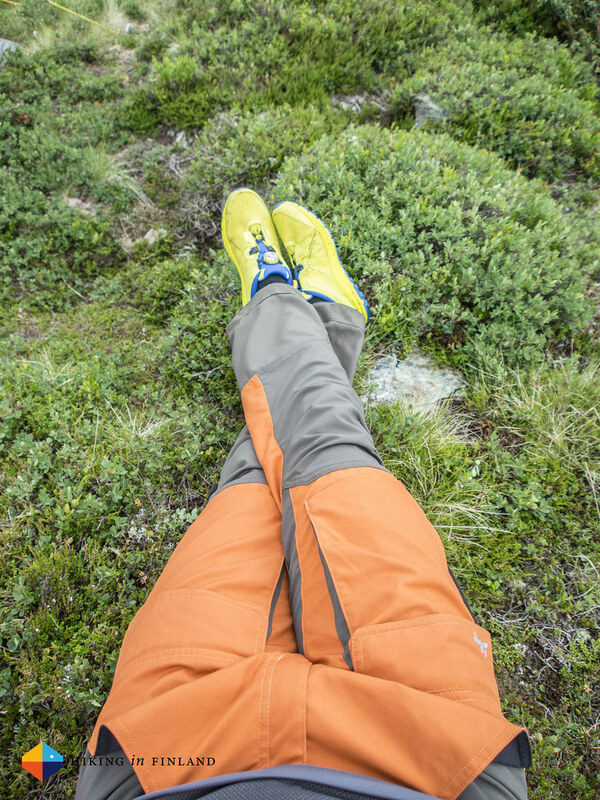 The Coolmax/ Merino material didn’t seem to make any difference in the wet weather we had, and the Gore-Tex lining didn’t do it’s job well - a good thing that I’m used to hiking in wet shoes. 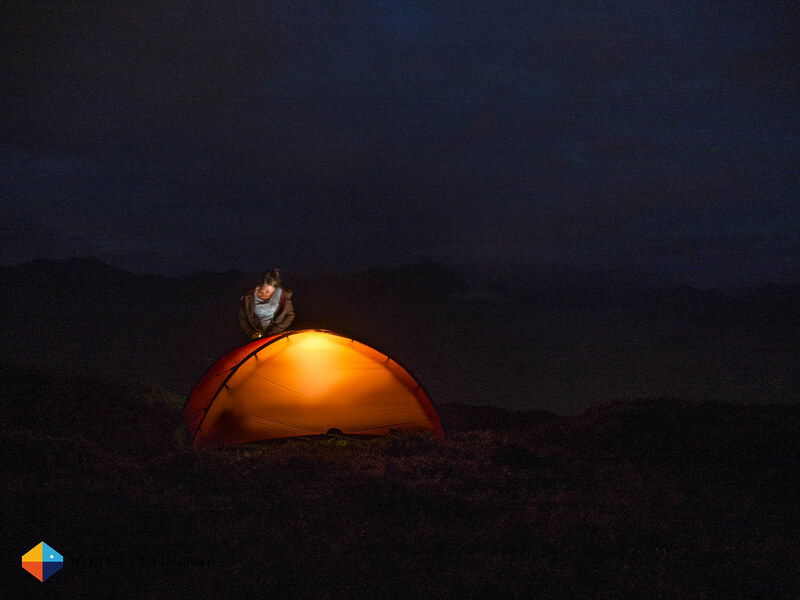 I pitched the Hilleberg Niak and saw that it was large enough to sleep two - and that’s what we then did in the night. 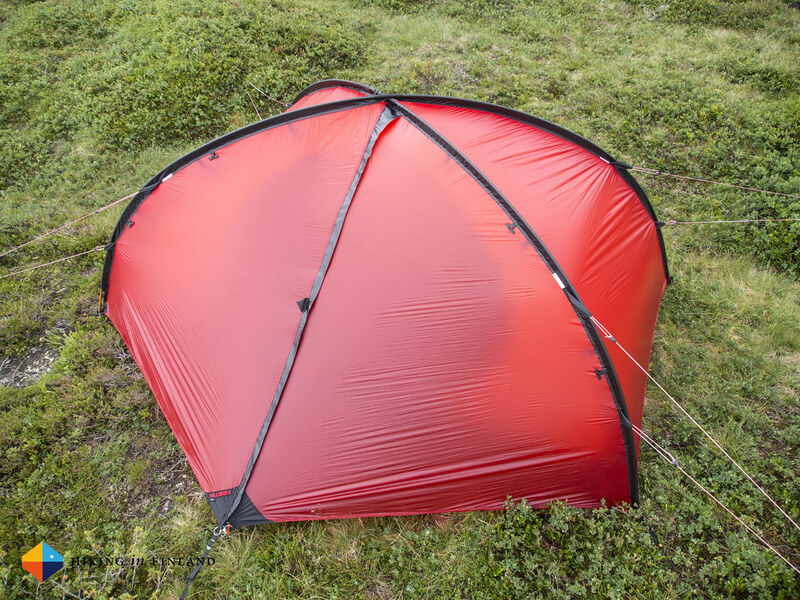 The Niak is claimed to be a 1,5 Person tent, but rest assured that two adults + gear fit without problem in this ~ 1,6 kg tent. It was very easy to put up and pack, has the possibility to roll up both flysheet doors for fine views, is equipped with a large inner door and has all the attention to detail you’d expect from a Hilleberg tent - sadly this also includes the rather hefty price tag of 890 €. More photos on Flickr. Check out the other gear which was entered, view the winners and follow the SOA on Facebook and Twitter.